You know that saying, “Easy as pie”? 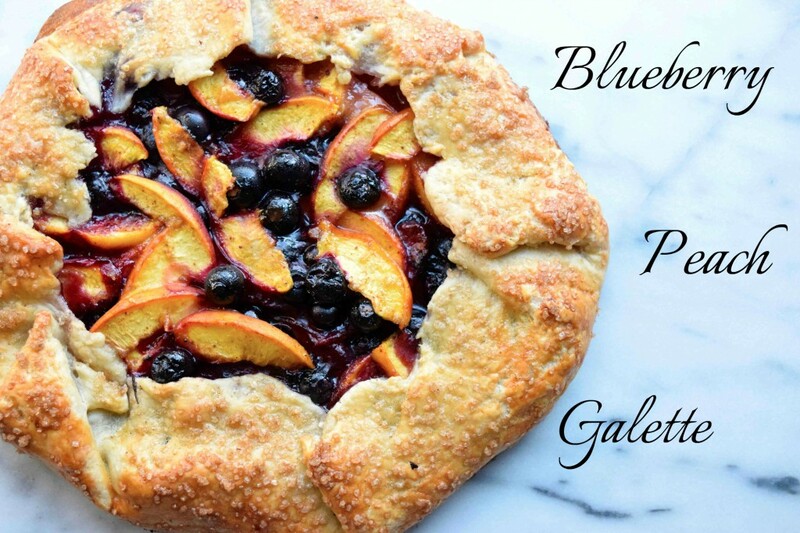 Well, that should definitely be changed to “Easy as a galette,” because this blueberry peach-filled beauty is something even the most inexperienced pie makers can get just right. The galette is one of those pastries that has been on my ‘To Make’ list for quite a while after having seen them countless times on the covers of magazines or when scrolling through Pinterest, and I thought it was about time I finally gave one a try. When I was at the farmers market last week, I saw a bag of beautiful peaches for $4 and had to wonder what the catch was, only to find out that they were just super ripe and needed to be used right away, so into my galette they went. 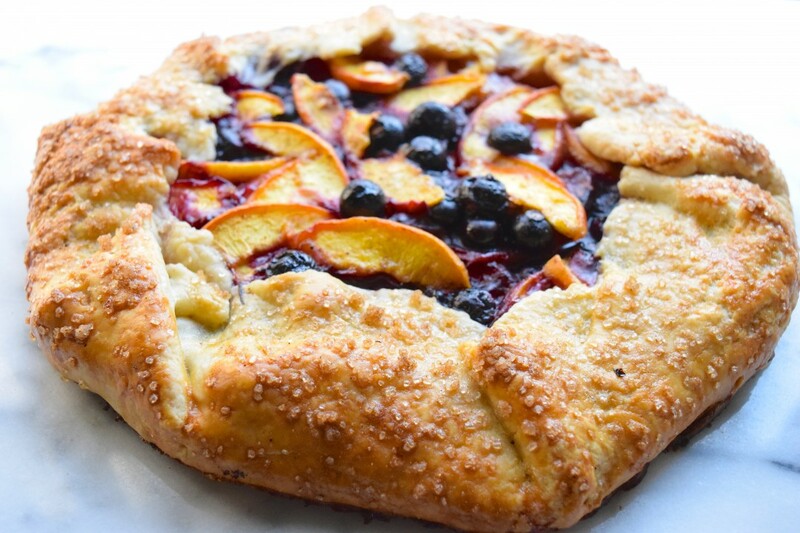 I also usually really like some type of berry to accompany any fruit-filled tarts or pies or crisps I’m making because they add a nice touch of color and a great tartness, so after grabbing some pretty little blueberries during the same farmers market jaunt, I knew they’d also be making their grand debut in this galette as well. 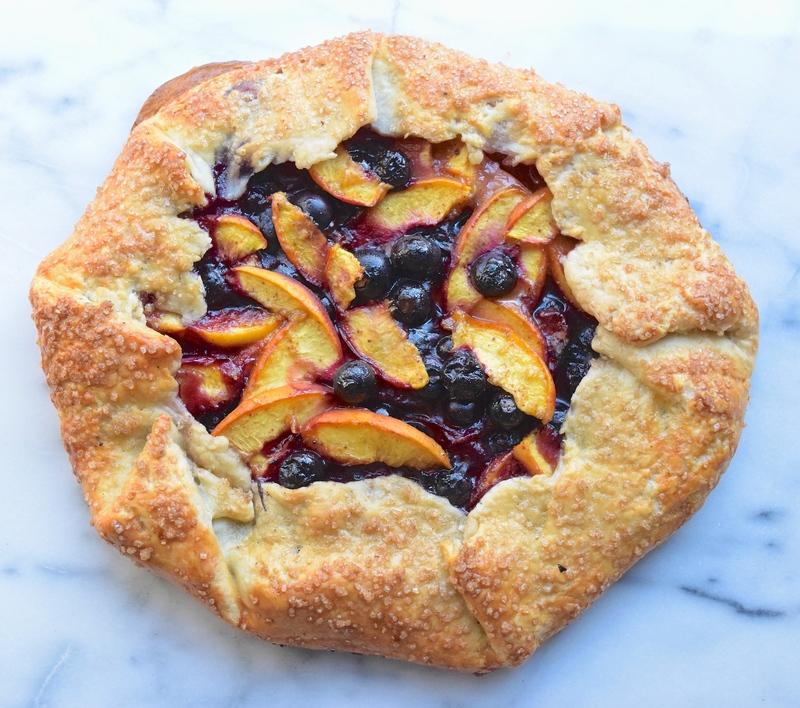 To say that this galette was anything but heavenly would be an understatement! As I pulled it out of the oven in all of its bubbling, gooey glory, I couldn’t wait to dig in. The dough was flaky, but at the same time crisp around the edges, the peaches were so sweet and juicy, the blueberries were deliciously plump, and it was all enveloped in an amazing aromatic warmth provided by the addition of the cinnamon, nutmeg, and cloves. I also had some leftover Vanilla Bourbon Sugar from when I made fudge, so before baking, I sprinkled a heavy dosing of that around the edges to give a nice, sweet crunch. Even though this was my first galette, it definitely won’t be my last! 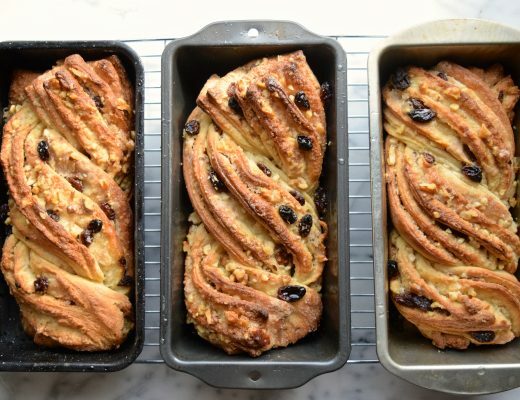 It doesn’t require any fancy equipment or intense baking skills and really is something that is a great way to use up any fruit before it’s too late. 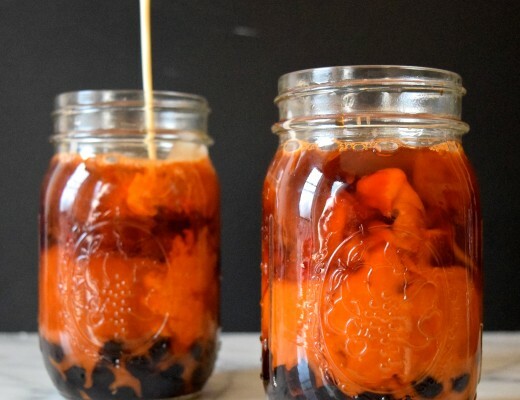 So run out and get some peaches or plums or whatever fruit your heart desires and make one of these to enjoy on a beautiful summer evening with a nice scoop of ice cream. Yum!! 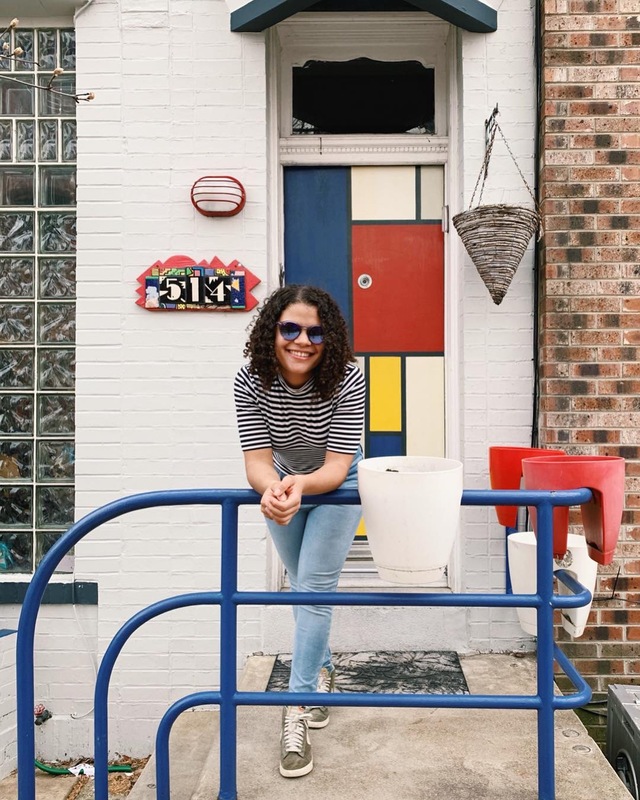 I’ll definitely be bringing this to share with all of my friends over at Fiesta Friday #82 co-hosted this week by Kaila at GF Life 24/7 and Sarah at Sarah’s Little Kitchen so come join us if you’d also like a slice! See you soon! Cut the stick of butter into small pieces and place into the freezer for about 20 minutes. Add all of the dry ingredients into one bowl, remove butter from freezer, and using either your hands or a bench scraper, work quickly to incorporate the butter until it is broken into smaller, round piece and the mixture begins to resemble sand. Combine the cold water, apple cider vinegar, and ice into a small bowl, and a tablespoon at a time, add it to the flour mixture. Ensuring not to overwork the dough, continue adding water to the mix 1 tablespoon at a time until it just comes together. Shape the dough into a disc, wrap tightly in plastic wrap, and refrigerate for at least one hour before use. 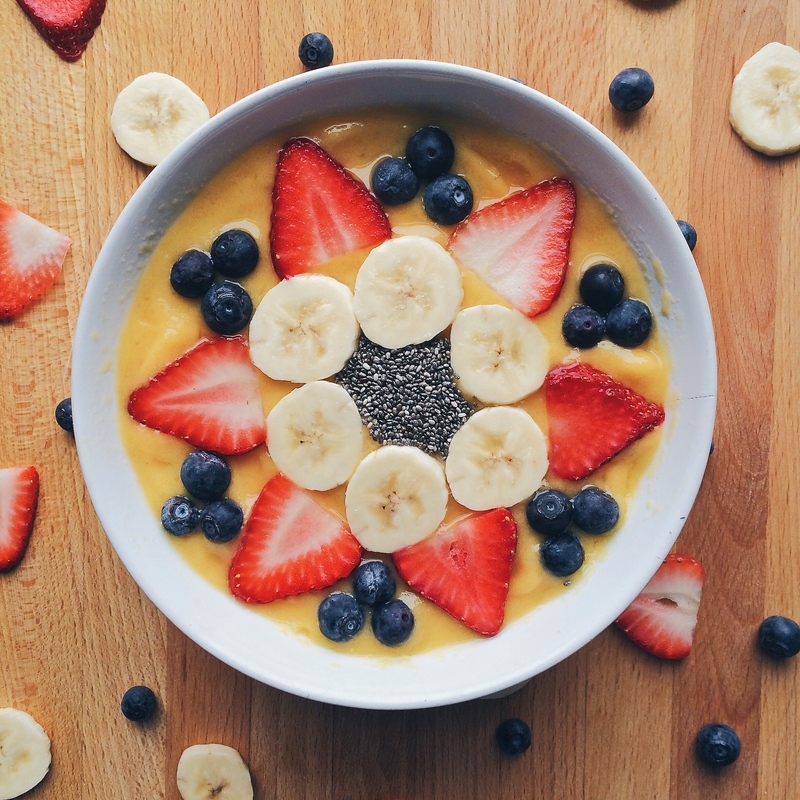 Combine all of the ingredients in a large bowl and mix until fully incorporated. Remove the pie dough from the refrigerator and roll into a 10 to 12 inch circle. Place the dough on a parchment paper lined baking sheet and using a slotted spoon, scoop the filling into the center of the dough, making sure to leave about a 2 inch border. Carefully begin pulling up the edges of the dough and folding them over the filling; folding any excess dough over itself. Brush the edges with an egg wash, sprinkle with sugar, and place in the oven for 40 to 45 minutes or until the crust is nice and golden. I love galettes – they really are so much easier than pies! The vanilla bourbon sugar sounds like such a lovely finishing touch. Galettes are so good! 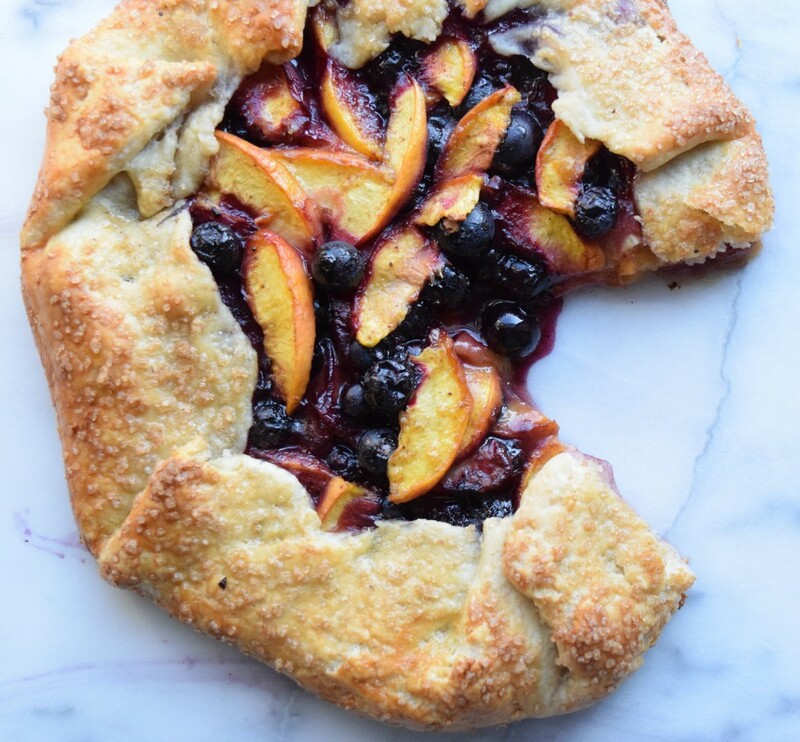 I only discovered them this past summer, making my own peach and blackberry galette shortly after I heard about them…and now I’m craving another thanks to your gorgeous pictures! 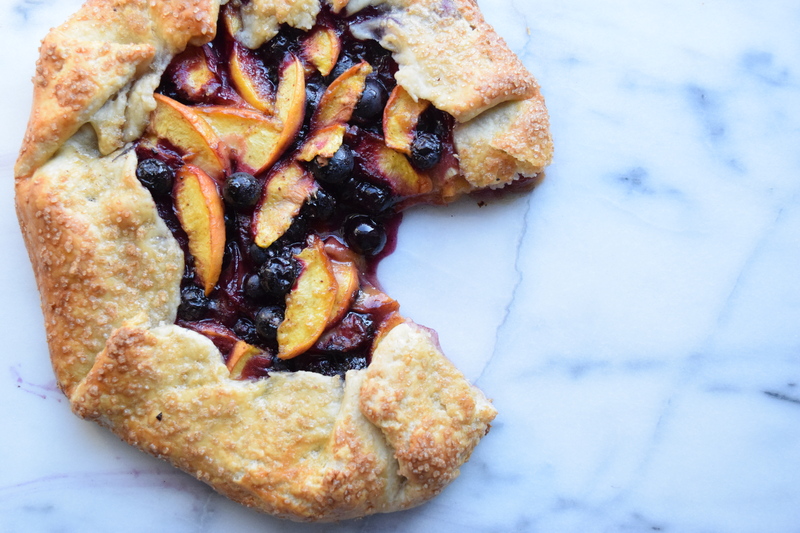 This galette looks so good and I love that it’s easy to make, too! I love how you inspire other people to make your food with clear and simple directions. That being said, the galette has so many beautiful flavors in it. And, I love how the edges are crispy and golden brown. I love artisanal pies and yours is gorgeous! At about this time last year I was posting one almost identical to yours! 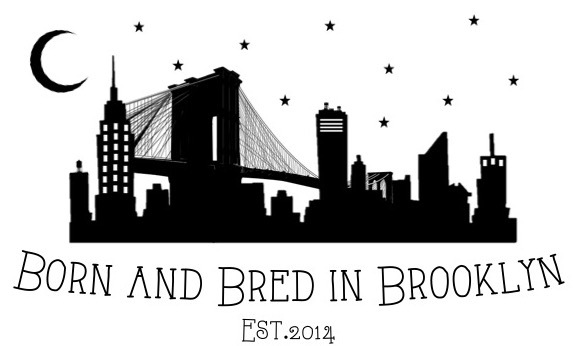 This is gorgeous!! I’ve been looking for a no fuss dessert to bake for this Christmas party tomorrow, but I still wanted whatever I ended up making to look really fancy and beautiful. This is a winner… I’m going to try making it with cranberries and blueberries! Girl, I’ve been looking for an awesome galette recipe! This looks fantastic!